Under rules established by California's Franchise Tax Board, if you're a wage earner who lived in the state during part of a taxable year, you might have to file a California state income tax return for that year, depending on certain conditions. Likewise, if you didn't live in California at all during a taxable year, you may still have to file a California tax return for the year under some circumstances. If you lived in California for part of the taxable year in question and earned income in the state, you may have to file a California state income tax form, depending on the amount of money you earned. 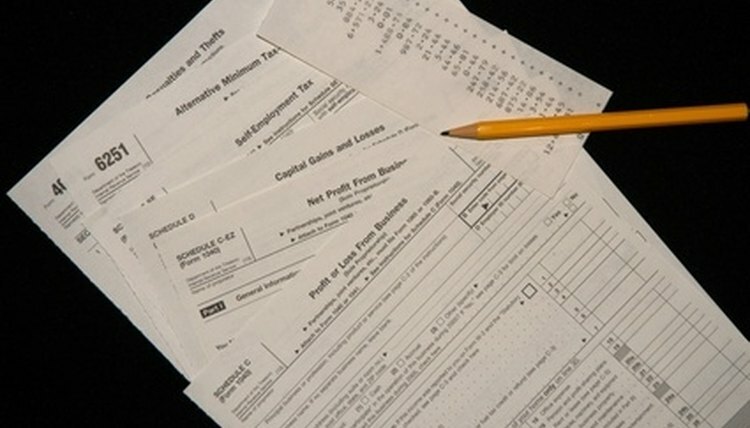 Part-year residents must file a state tax return if total income exceeds the filing requirement amount for full-time residents. This includes all income earned while living in California as well as income earned from a source based in California while not living in the state. For tax purposes, income earnings include wages, salaries, tips, professional fees, net self-employment income and other income received for professional services. Can I Claim My Child on My Taxes If He or She Is Working? Nonresidents of California, defined for tax purposes as people who didn't live in the state during any of the taxable year in question, must file a California tax return if any income comes from a source or sources based in the state, and if total income from all sources during the year was greater than the filing requirement amount for full-time residents of the state. The resident filing requirement amount is detailed in a chart that's available on the website of the Franchise Tax Board. It's not just wage earners who have to file California state taxes each year. A Form 540 must be filed by any resident of the state, part-year or full year, who owes taxes on any of the following: a lump sum distribution; a qualified retirement plan; distribution on a trust fund; or for children under 14 who have investment income of more than $1,900. And for children with investment income, an accompanying form to figure the tax on the Form 540 for the child also must be filled out, FTB 3800, the Tax Computation for Children Under 14 with Investment Income. California Franchise Tax Board: Do I Need to File? Nero, Mark. "California Out of State Income Tax Laws." , https://legalbeagle.com/6781240-california-state-income-tax-laws.html. Accessed 21 April 2019.